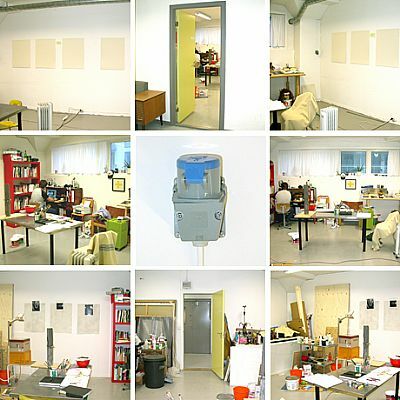 Kunstnerverksteder cs55 offers two subsidised studios for newly examined artist for one year from 1.6.19, with the possibility for a prolonged stay for one year based on application. Studio 304 is 42 sq.meetres and subsidised monthly rent is kr 1829. Studio 404 is 40 sq.meetres and subsidised monthly rent is kr 1689. Kr 200 monthly is added to the rent to cover electricity, and is balanced out at the end of the year. The studios has free wifi, access to shared kitchen facilities, shower and toilet, and a large industrial elevator. Wood workshop and a project room is also for hire. The studios are subsidised with support from Bergen Kommune and Hordaland Fylkeskommune. Written application, cv and images of works must be submitted to styreledercs55@gmail.com by 1st of April 2019.